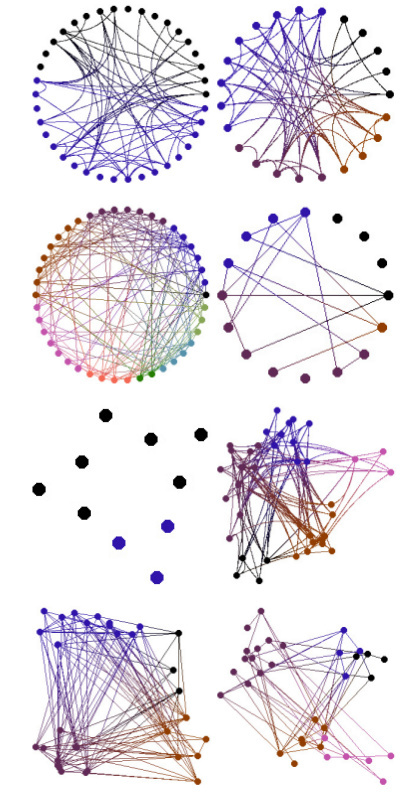 CloudGraph is a C library of functions generating a 2D graphical representation of a graph based on the relations between its nodes. 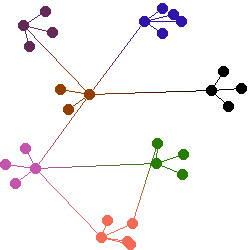 Two types of relation are considered: edges of the graph, and categories of nodes in the graph. It also provides a front end which reads the graph definition from a text file, produces a TGA picture representing the network, and/or prints the nodes' 2D coordinates. It uses the TGA library and SpringSys library functions. 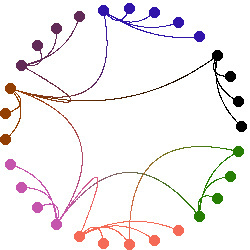 The representation of the graph has 2 modes: circular and free. The representation of the links has 2 modes: straight line and curved line. Categories are represented by different color (default setup and manual setup possible), and links between two categories have shading colors.